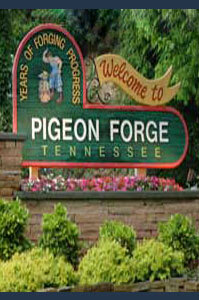 Get ready to ENJOY Pigeon Forge, Tennessee! MARK YOUR CALENDAR - OCT. 15-17 2015!!! Dear Fellow Memorialist and Other Monument Industry Representatives, The 2015 joint annual meeting of the Tennessee Monument Builders and the Kentucky Association of Memorial Dealers will be held Thursday through Saturday, October 15-17, 2015, Holiday Inn, 3230 Parkway, Pigeon Forge, Tennessee, 37868. The "Get Acquainted Reception" will open our convention on Thursday evening with the Vendors' table top displays in the same room. Bobby Barnett, President of the Tennessee Monument Builders, is in the process of finalizing an educational program for Friday and Saturday mornings. As more info becomes available it will be updated. Hotel reservations should be made with the hotel directly at 1-865-428-2700 and be sure to reference code TMB so that you get the quoted room rate. Rooms are $115.99 plus taxes (double or king), parking is free. September 18, is the cut-off date for our block of rooms. Cancellation deadline is 72 hours prior to arrival. Please make your reservations early. Look forward to seeing you on October 15. We appreciate your support and attendance.